CHARLOTTE, N.C. — A suspect is in custody after eluding Charlotte-Mecklenburg Police for over an hour Friday. 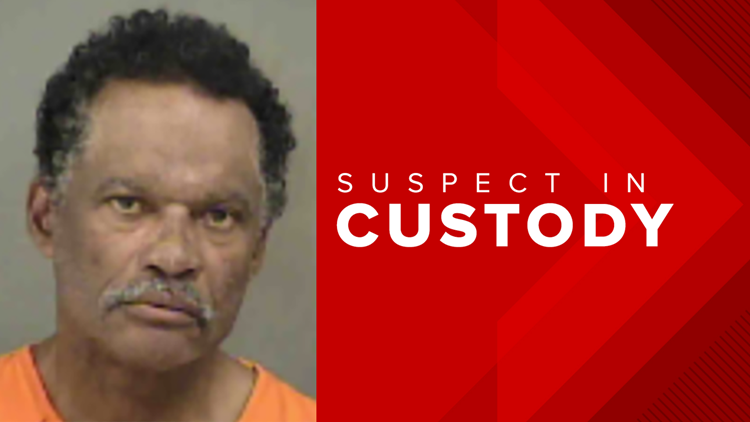 According to police, 58-year-old Willie Leon Davis was taken into custody after parking the vehicle near an apartment complex off Briar Creek Road just across Independence Boulevard from Bojangles' Coliseum. Before then, police said he was seen driving erratically in areas of south Charlotte, NoDa, and east Charlotte. CMPD confirmed they were in pursuit of a stolen vehicle after it was detected by a license plate reader around 11:30 a.m. According to a police report, a 2010 Nissan Versa was stolen from an ABC liquor store on North Tryon Street Wednesday night. The 61-year-old man who owns the car told police that he left the car running and the suspect took off with the vehicle while the man was in the store. “A guy pulled off with my car, took my car,” he told NBC Charlotte. The victim said the next day the situation escalated when he confronted the suspect who he spotted inside the stolen car. “(I) pull the handle to get him out of my car, he pulled off and dragged me and scarred up my face and injured my hand,” the victim told NBC Charlotte. On Friday morning, an officer spotted the stolen vehicle and tried to make a traffic stop. That’s when the police pursuit began. With help from a Charlotte Mecklenburg Police helicopter, officers tracked the suspect into an apartment complex and arrested him. Davis was charged with possession of stolen motor vehicle, two counts of hit and run, two counts of felony flee to elude, DWLR, resisting arrest, speeding, reckless driving, and stop sign violation.